The idea of rescoring classic cinema is becoming increasingly common but I missed this. In 2008 Pixies main man Black Francis rescored the 1920s German expressionist classic The Golem: How He Came Into The World. Now there’s a gorgeous new book documenting the process, with music and image from the performance and the rescored film. It’s a gorgeous book, but it’s $90. On his YouTube channel though the result is there in segments including some fascinating process and behind the scenes footage. Well worth a peruse. 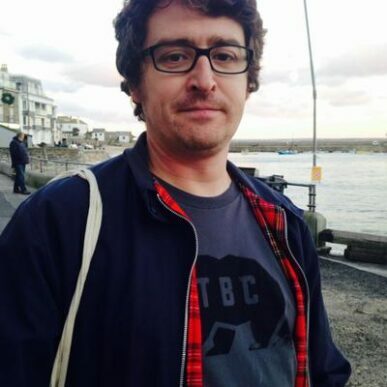 Neil Fox is the co-founder and co-host of The Cinematologists podcast, a senior lecturer in film at Falmouth University and screenwriter whose debut feature Wilderness is currently touring festivals. He was also co-responsible for the mighty Filmstock Film Festival throughout its far too brief 10 years of cinematic curation.